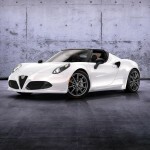 Alfa Romeo has introduced another beauty to give an utmost enjoyable open-air motoring experience to car enthusiasts. 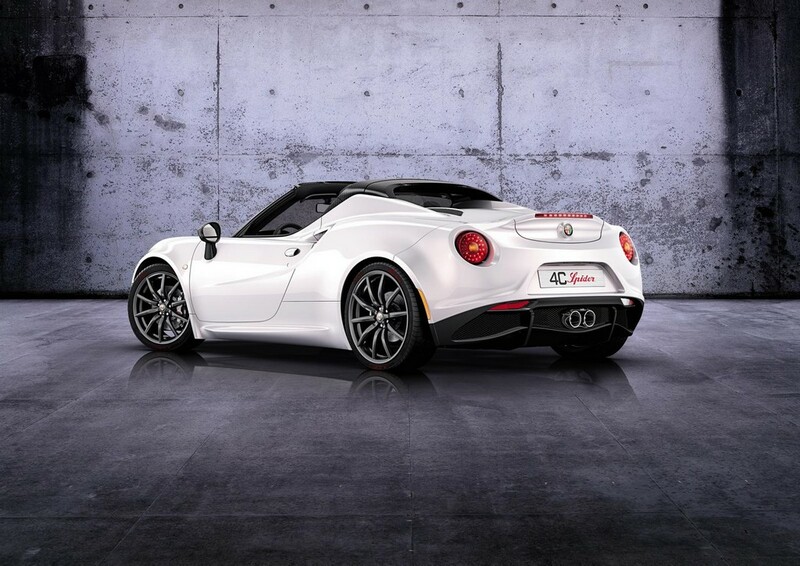 4C Spider borrows its aspects from the award-winning 4C Coupe. Manufactured in Moden, Italy, it has an alluring Italian style. The carbon fiber monocoque chassis and advanced technology make the car worth every penny. 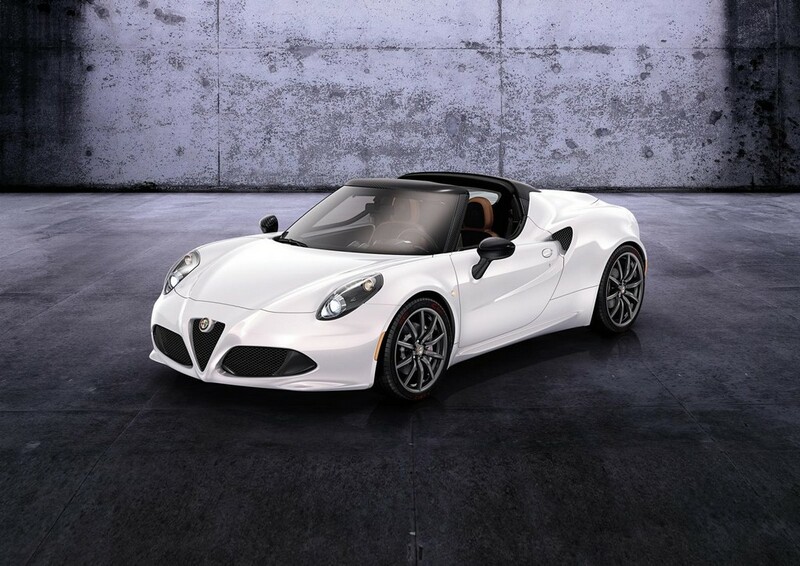 As Head of Alfa Romeo North America- Reid Bigland tells the media, this new launch expands the product offering by the company. It boasts a removable carbon fiber hard top, thus ‘opening up’ the Coupe’s brilliant level of technology and performance. 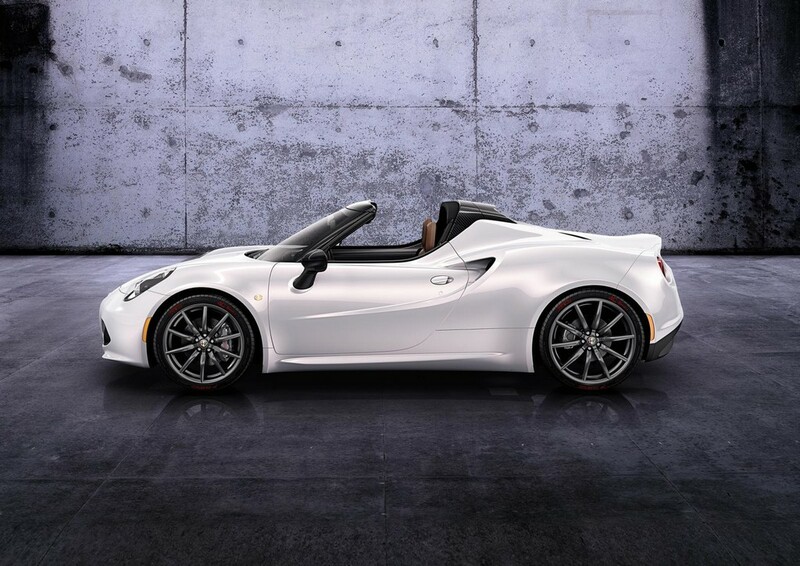 The driver will thus enjoy the 4C from an entirely new point of view. 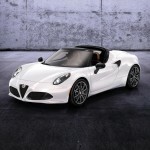 The brand new offering by Alfa Romeo is armed with turbocharged four-cylinder 1750 cc all-aluminum engine. The powerful engine features direct-injection, variable-valve timing and dual intercoolers as well, thus giving rise to an extreme performance. As for the power output, it generates 136 HP per liter. The mid-engine body form is more superior than the legendary 33 Stradale. 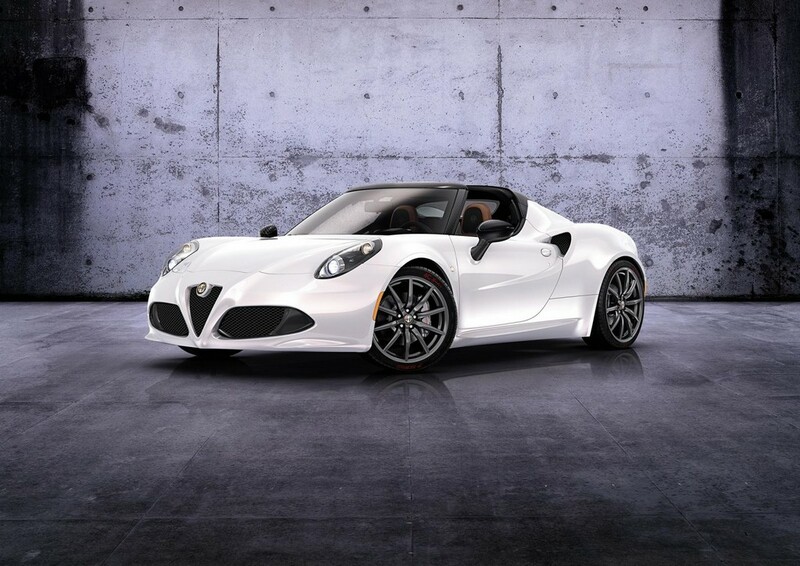 Lightweight performance is ensured by sheet-molded compound (SMC) composite panels – in which the commendable Italian design is apparent, and also by the carbon fiber monocoque chassis along with the all-aluminum engine. The deck-lid has three functional heat extractors. Also present is an aerodynamically tuned spoiler. The state-of-the-art design elements by the company can be seen in several parts of the car. The rear hood is straddled by two muscular forms that serve the purpose of elevating the body above the cockpit’s beltline. This ensures visual strength as well as foundation for available carbon fiber halo. The rear fascia and the LED taillamps look spectacular along with the sturdy rear wings. The large functional air intakes look stylish besides cooling the engine. Dual exhausts can be seen at the corners. They very well highlight supercar stance of the car. 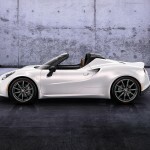 Later on, the company shall launch another 4C Spider. 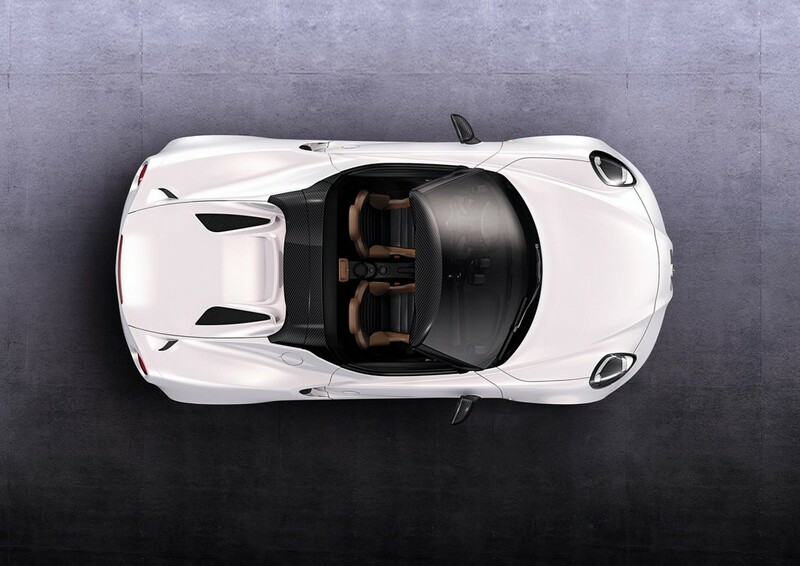 This one will feature dual-mode center-mounted performance exhaust system called Akrapovic – inspired by the 4C Spider concept. A carbon fiber windshield frame highlights the eye-catching monocoque. The windshield imparts strength as well as lightness. Moreover, it provides the attachment points for the removable cloth roof. The exposed carbon fiber hardtop would be offered in later models. Inside, the cockpit has everything to impress a racer. The company has included features that are most useful and stylish looking at the same time. Comfort is ensured by the composite-framed sport seats. The classy seats are adorned with standard leather. The carbon fiber monocoque highlights the the race-inspired technologies of the company. The driver-oriented cockpit has a flat-bottom. The leather performance steering wheel is accompanied by paddle-shifters as well as aluminum pedals that enable cool racing. The interior is fully wrapped with premium-leather and the accent stitching would be standard on the car. Also standard are the carbon fiber vent surrounds which sport a singular look. The car is blessed with advanced technology, as the interior includes full-color 7-inch driver information display (DID) cluster. This displays vehicle information by the use of high-impact graphics. Hence, it helps the driver to maintain his focus on the road ahead. The brand new feature is Alpine premium radio. It has been designed for audiophiles and with this head unit the company has successfully offered several top-notch features to the buyers. Passengers will enjoy excellent sound quality. Moreover, they will have several multiple connectivity and media options This includes handsfree Bluetooth phone, USB port, Bluetooth streaming, CD/MP3 capabilities as well as iPod interface. Two more features are present to add to this rich collection of facilities. With the new radio ,customers can access high-definition broadcast audio using SiriusXM Radio and HD radio.